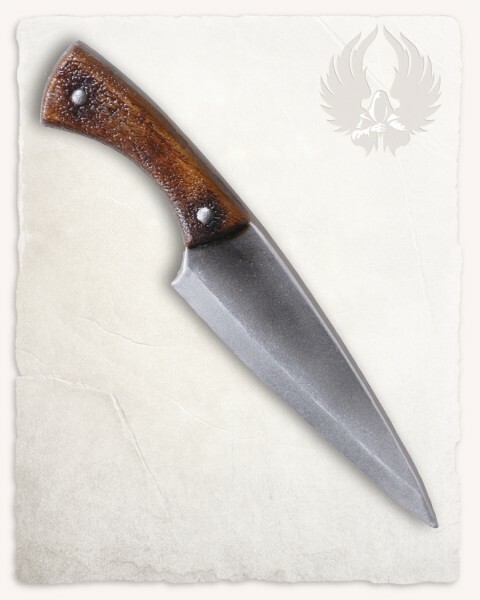 "Jorge" is a all-purpose knife from our "Battle Standard" line of products, made from nearly indestructable polyurethane. The matching "Jorge" sheath can be found here. This item is no toy, but a requisite to portray fights. Disclaimer: All items shown here were especially designed to safely portray fights in controlled environments like liveroleplay events, theater stages etc.. The items shown here are throwing weapons completely made out of foam.